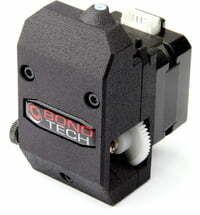 The Bondtech BMG-M extruder combines high performance and resolution with low weight. 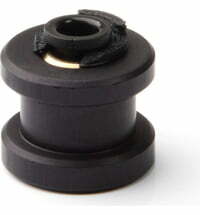 Together with our proven dual-drive technology, you can expect trouble-free filament extrusion. 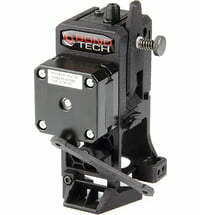 This extruder is optimised for the Mosquito / Mosquito Magnum Hotends with a built-in torque-lock system for perfect nozzle replacement and upgrading. 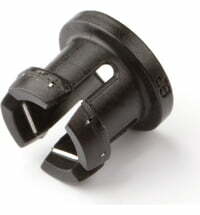 The body parts are professionally SLS-printed in nylon for maximum strength and precision. 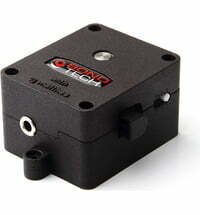 This extruder only supports filaments sized 1.75 mm. 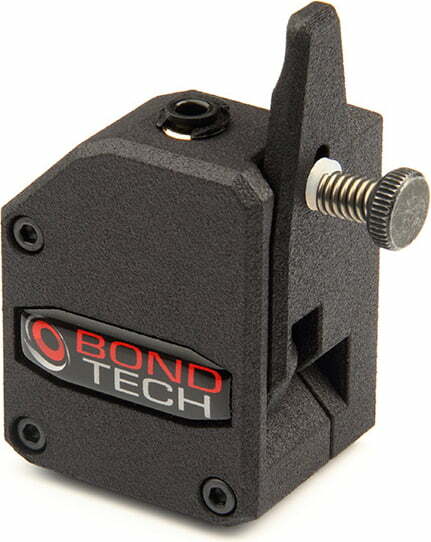 The Bondtech BMG-M uses a 3: 1 internal gear ratio combined with precision CNC machined hardened steel drive gears to give you a compact powerhouse for all your applications. 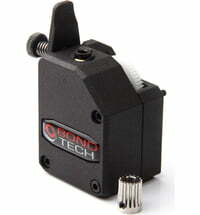 Whether high-resolution prints with small nozzles or high-flow prints with large nozzles - the optimised gear ratio in combination with the BondTech drive wheels provide unprecedented thrust and lightning fast returns in a lightweight and compact package. Our unique dual-drive technology ensures uninterrupted material flow without fear of grinding or slipping, even in the most demanding conditions. 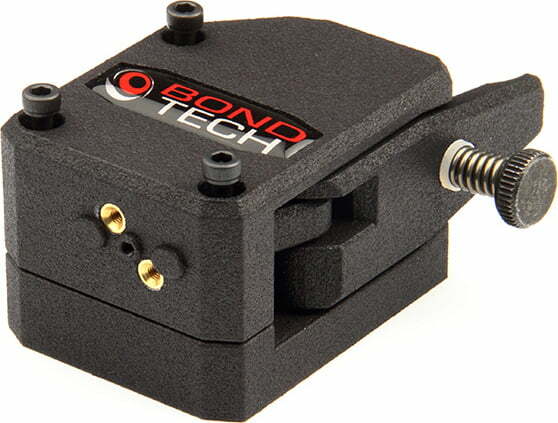 BondTech users around the world will confirm that our extruders perform flawlessly, with unmatched precision and without damaging or wearing out the filament, even with thousands of draw-in prints. Our BMG extruder delivers all materials with high reliability, from smooth nylons and soft TPU / TPE filaments to highly rigid and sometimes brittle, carbon filled, high strength materials. 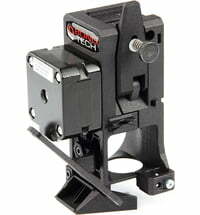 The extruder is designed for 1.75 mm filament but has been tested to ensure filament performance of 1.5 mm to 2.0 mm, allowing for high reliability regardless of the tolerance of the filament used. 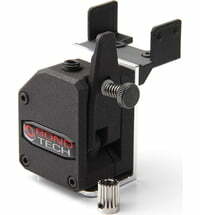 With the thumbscrew, the user can finely adjust the pressure exerted by the drive wheels on the thread. This gives you the opportunity to adapt to your preferences and to optimise for the type of material used. To make changing material easy, just open the quick release lever to release the tension and pull the material you want to change out of the extruder, release the lever, and load the new material. 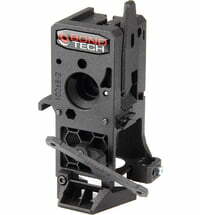 This extruder is optimized for the Mosquito / Mosquito Magnum Hotends with integrated torque-lock system. 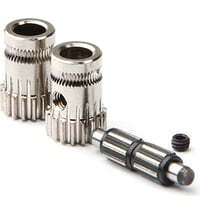 The assembly of the Hotend is simple, safe and wobble-free with only two screws. 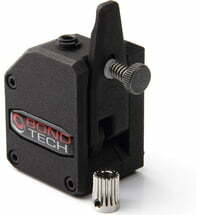 BondTech offers an optional standard mount, CNC machined from 3mm aluminium for maximum stability. 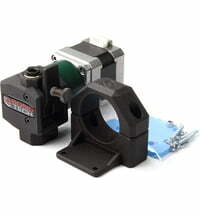 The extruder will match any Nema17 stepper motor with a standard 5mm shaft. 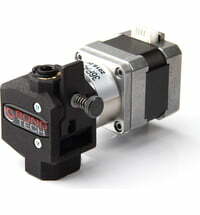 This extruder is sold without a motor and without a hot-end.